Can you live big in a small house? And by small we don’t mean – in this case – the “tiny” home totaling 200-600 square feet of space but a more expansive 1000–1500-square-foot design. The answer is an obvious “yes” for families who have discovered that “less is more” – beautiful, cozy, and just the ideal fit for their activities and lifestyles. With a range of gorgeous options at their fingertips, potential homeowners find decision-making a simpler and enjoyable task. Some have gone vintage with Victorians, bungalows, Colonials, or cottages; others have gone with today’s Contemporary look in their new but fashionable 1000–1500-square-foot homes. Within these homes, there can be two or three bedrooms, two baths, open floor plans, modern kitchens, basements, and outdoor living features for relaxing and entertaining. From the exterior, they can be quaint, traditional, classic, definitely eye-catching, and full of character. 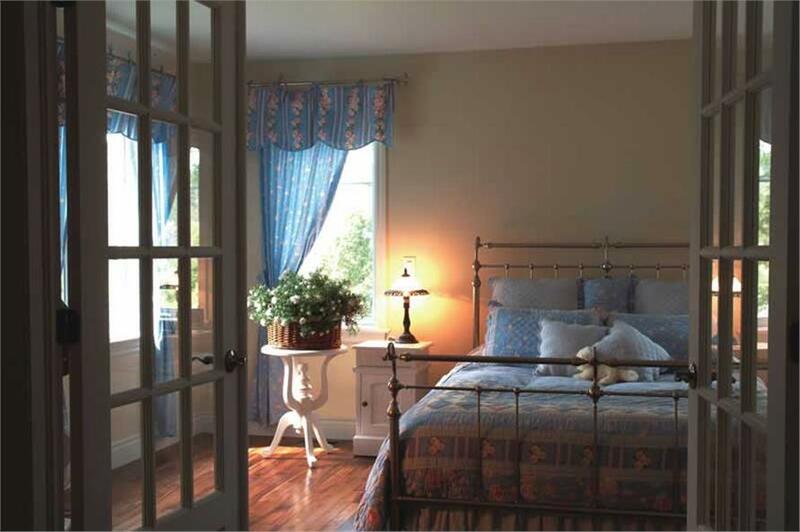 Walk into one of the homes, and find smartly designed interiors and fixtures that are comfortable and imaginative. 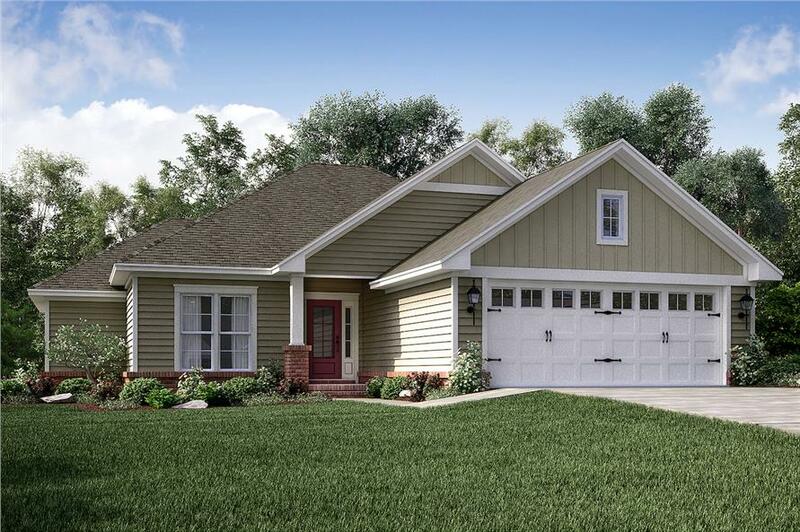 A delightful 1-story Craftsman-style home packs 3 bedrooms, 2 baths, walk-in closets, an open floor plan with a Great Room, front and rear porches, a two-bay garage, and other amenities in 1,381 square feet of living space. Check out the floor plan directly below (Plan #142-1153). 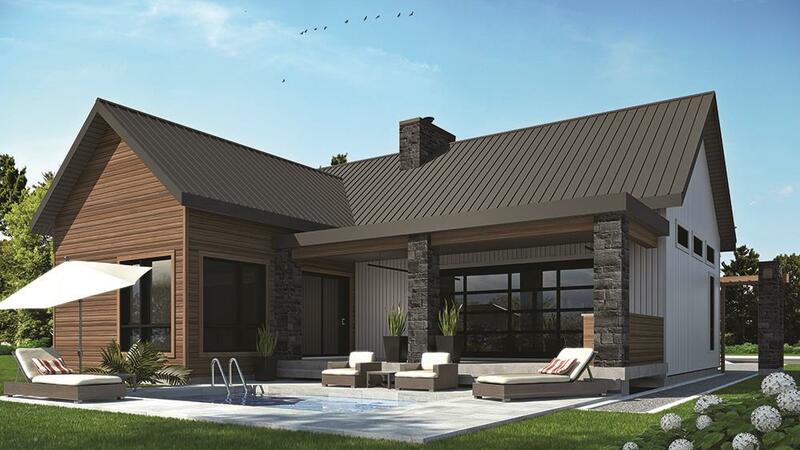 In addition to the bedrooms and baths, the floor plan shows a walk-in pantry, eat-in kitchen with a kitchen island, and a laundry/utility room (Plan #142-1153). Once the norm in the 1950s, the 1000–1500-square-foot home is becoming a popular, affordable and versatile option for young families with growing children, empty nesters and Baby Boomers. As more Americans choose smaller, eco-friendly homes, there is an increasing awareness that living in a home that’s 1000–1500 square feet doesn’t mean a cramped lifestyle. Surprises abound with all of their features and conveniences, usually identified with homes that have more square footage. 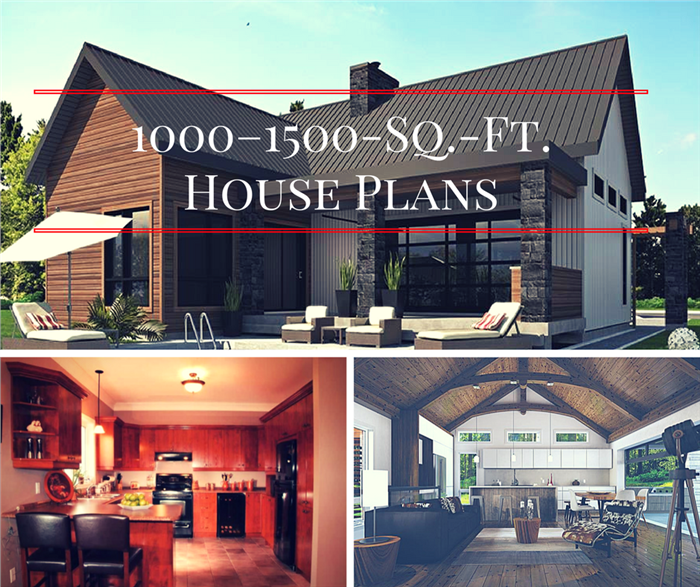 Here’s a look at some of the inviting and attractive “big-home” design elements of these house plans. 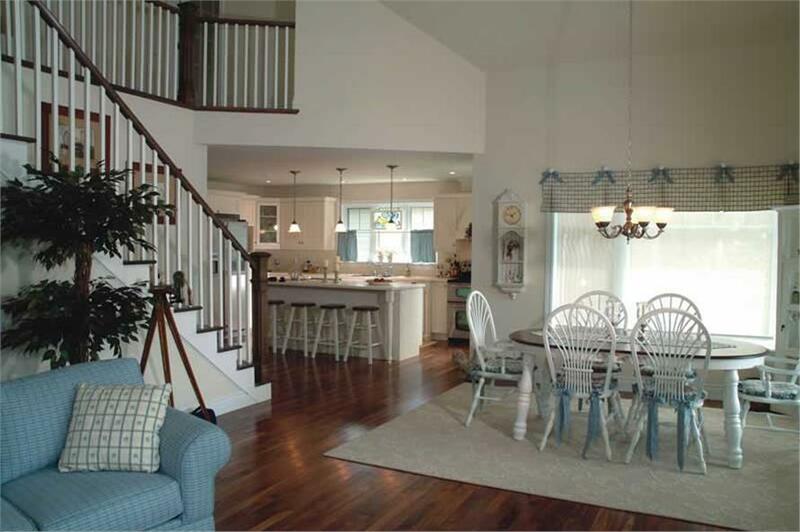 Wide open spaces in the home continue to be a hot trend. 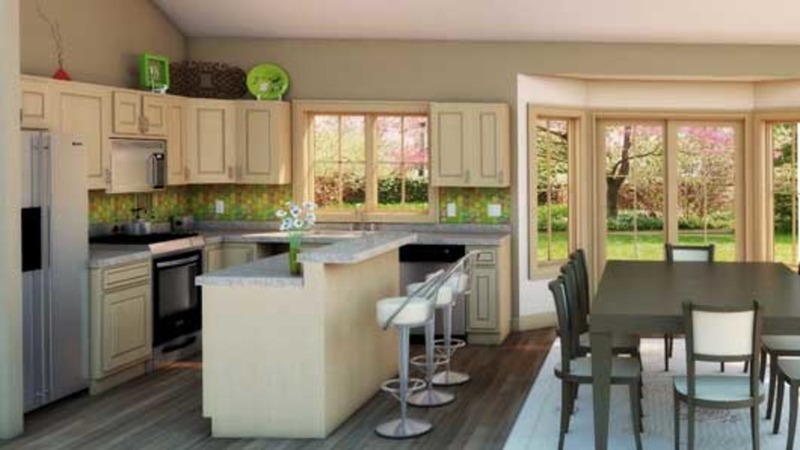 Open floor plans are even more popular in 1000–1500 square foot home plans because they provide a light-filled, breezy atmosphere and allow a continuous flow from the foyer to the living, kitchen, and dining areas. To open up the Great Room more and give the space a larger and unrestricted feel, some small house plans feature vaulted or high ceilings. An open floor plan with high ceilings is highlighted in this Great Room of a quaint and homey 2-bedroom, 2-bath Country-style home with 1, 480 sq. ft. of space (Plan #126-1287). The vaulted ceiling in this Great Room of a 1-story, 2-bedroom Contemporary home allows abundant natural light to filter into the space (Plan #126-1836). While not as large as kitchens in homes with more square footage, expect a versatile kitchen in plans 1000–1500 sq ft – with modern appliances, counter space for meal preparation, eat-in nooks, and ample room to move about and socialize with family members and guests. You’ll find the basic built-in cabinets, drawers, and shelves for storage, and in some kitchens even a walk-in pantry. Some families also use overhead space to hang lightweight pots and pans instead of taking up cabinet space. 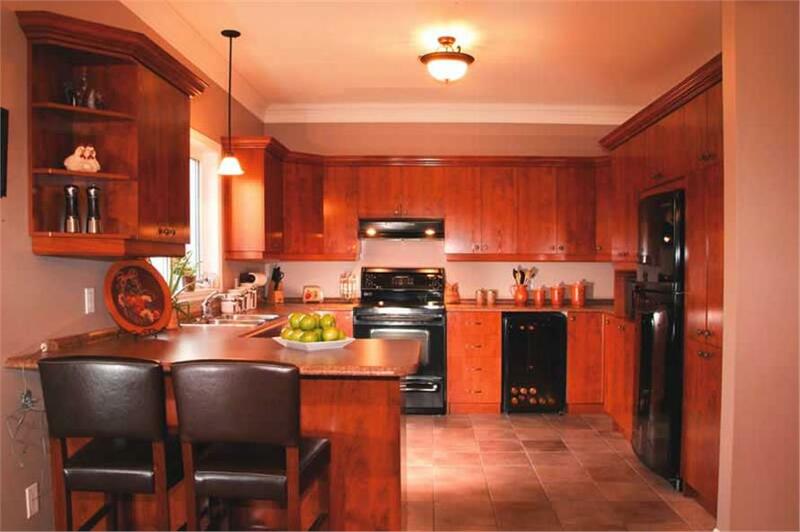 Everything you need in a kitchen is in this space in a 1,432-sq.-ft., 2-story, 3-bedroom Country style home. 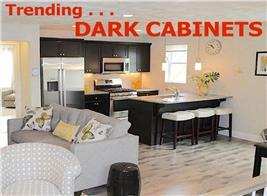 There is an extended countertop, modern appliances, built-in cabinets, and drawers for storage (Plan #126-1771). Creativity and ingenuity show in the design of this modern kitchen in 1412 square feet of space. Check out the use of windows and even a bay window to add light and the feeling spaciousness (Plan #176-1012). One of the more popular designs is the split-bedroom plan that places a main-floor master bedroom across from the Great Room – apart from the other bedrooms. The master bedroom comes with an ensuite bathroom with a tub and shower; walk-in closets, cabinets, and drawers for storage. What the master bedroom lacks in other amenities – like sitting areas and coffee nooks found in luxury suites – it makes up for in its coziness, relaxed comfort, and warmth. 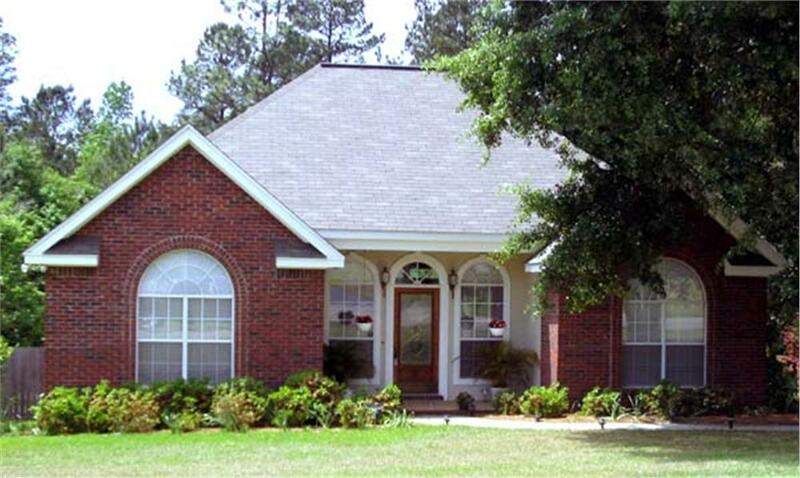 This 3-bedroom, 2-bath traditional Ranch style home with 1,251 sq. 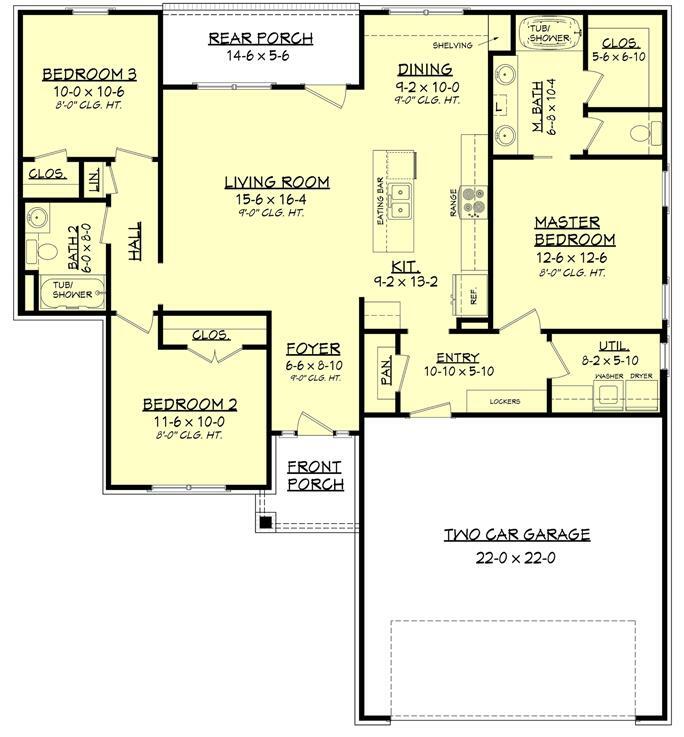 ft. of space features a split-bedroom design (Plan #141-1133). Many home plans have flex space – like a finished basement, mudroom, or a third bedroom – that can be designed and furnished as a multi-purpose room. In a number of homes, the usual combination is a mudroom/utility/laundry space. Other families choose to have a dedicated home office with an area devoted to hobbies and/or crafts. 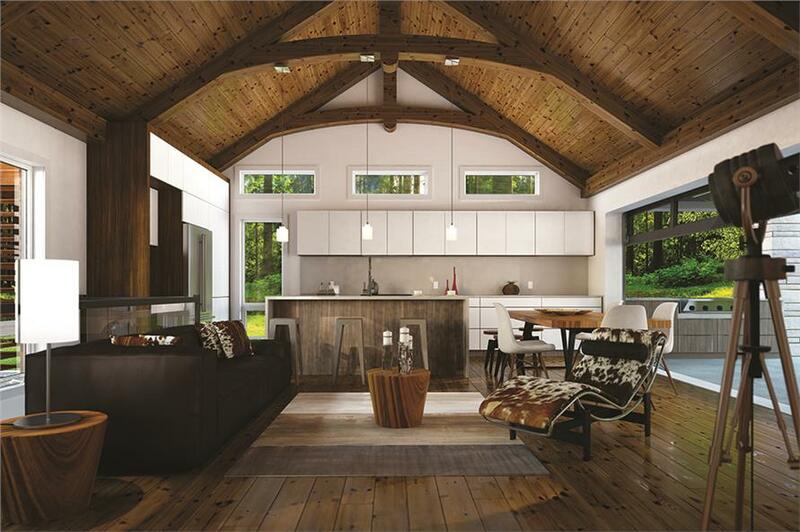 Every bit of functionality is squeezed into this attractive loft convereted into a quiet reading room and home office in this 1154 square foot country home (Plan #160-1007). Whether it’s a huge manor home or a small Country style cottage, today’s home is not really complete without outdoor living facilities. 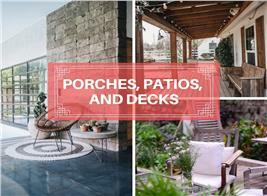 From delightful courtyard entryways to welcoming front porches, quiet rear patios, grilling patios, and pools, outdoor structures are part and parcel of a modern home’s blueprint. These are the design elements of any home that connect the indoors and outdoors and create a bigger area for relaxation and/or entertaining. Enjoy a refreshing swim or some quiet time reading on this rear patio of a 1-story, 2-bedroom Country style house with 1,212 sq. ft. of living space (Plan #126-1836). Ask yourself if you really need five bedrooms, a formal dining room, a family room, and a guest room that may be used two or three times a year. If you’re ready to downsize, consider the advantages of trading in for a 1000–1500-square-foot house plan. • A small home is affordable and cost-effective – think of a lower mortgage, less debt and property taxes, and lower utility bills that can result in big savings and expendable cash for vacations and trips. • It is easier to maintain, clean, and keep clutter-free – consider how much quicker it is to clean and organize fewer rooms. You cut down on the clutter, and most importantly, get more time to spend with the family – or in doing more enjoyable projects. • A smaller footprint is energy-efficient and uses fewer natural resources – with lower costs for electricity, cooling, heating, and water bills, a smaller home promotes energy efficiency. It is also good for the environment because fewer natural resources are involved in its construction. • It encourages more social interaction and bonding with the family – there is no “man cave” or a game room to escape to. With no reason to be isolated from the family or wander away in a big house, the family can enjoy more time with each other and develop stronger relationships. 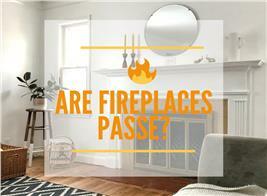 • Renovating and decorating costs are considerably lower in a smaller home because there are fewer rooms. • Outdoor activities become a part of a family’s lifestyle. Instead of being cooped up inside the house watching television or staring at a computer screen or a smart phone, families can spend time in the yard – gardening, playing, or walking around the neighborhood to explore. So are you ready to trade in for one of these smartly-designed and stylish smaller homes? 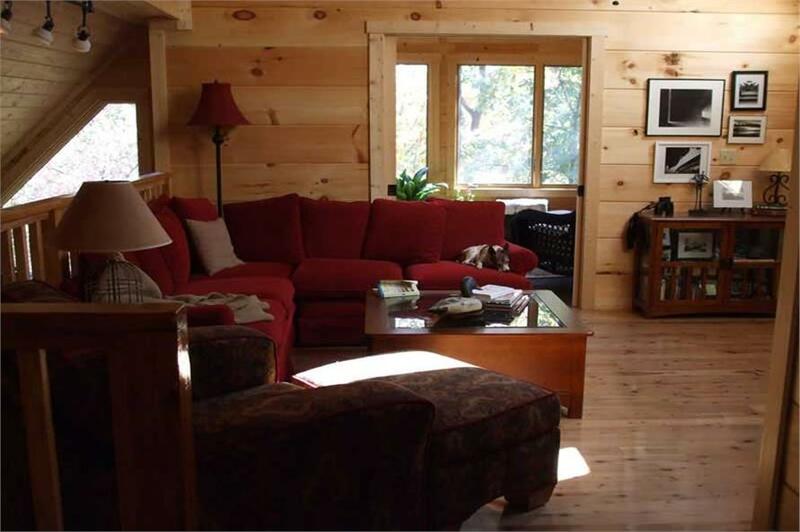 With some imagination and ingenuity, you can create a truly comfortable and delightful home.